Television cans presenting it visual form basically enables children recognize letters and visual appearance in the form of objects that they do not know. TV can satisfy curiosity about everything around each life both near and far. Many TV presents a variety of common knowledge that can support learning in school. 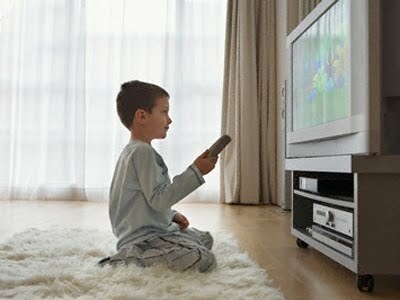 Television allows children to experience a variety of things without having to feel alone. Screen TV, everything goes fast. Style television that do require speed. Everything is instantaneous. Count prevailing in television is second. So, all seemed fast. television bombard children with a wide variety of entertainment, events at certain moments, the persons who is loved, that it obtained painlessly. It encourages children to lack of respect for this process, it can even lead to a tendency to get something through a shortcut. Ability to think children are still very simple, allowing children tend to consider what is on the television screen is something that is real. TV shows are violent are often seen children, are feared to teach children violent behavior in everyday life. Preoccupation on television will affect the child's interest and attention to the lesson at school. TV often featuring characters and character generally reflect the things that became an obsession viewers (beautiful, handsome, rich, happy, and so on), so as to increase the pleasure of the things that are mundane. The proportion of negative and positive effects for children's TV of course depends onthe contentof existing events on TV stations. If TV presents many events that are less educated and just purely entertainment, of course, negative effects become more prominent. Conversely, if the TV more events that educate, of course, the positive effect of TV is becoming more prominent.